I have been awarded by Cheryl. It's the Sunshine Award! Check her blog — Rice, beans & pastichio...; it's very nice, and says about her good times with family and friends! :) And oh yes, her blog has similar color combination as mine! • Forward it on… Nominate 12 bloggers. • Put the award onto your sidebar or within a post. • Let the nominees know they've received this award by commenting on their blog. • Share the love and link the award to the person from whom you've received this award. 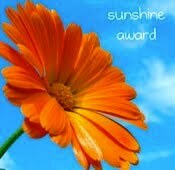 Bhavesh of Chaukhat.com BLOG has given me this Sunshine Award. Thank you Bhavesh! The Sunshine Award is just perfect for you Bhavesh! Congratulations!!!! YAY!!! Congratulations! I agree - the Sunshine Award is perfect for you!!! You deserve the award!! Thank you for your kind words and suppost Bhavesh. I always love your visits! Congrats once again. You deserved it! Wow! This is so awsome for you! The best part is we all get to see ho'zho'(Long life happiness) at work! Friend, many many congrats ! After all we have been following each other's blog since long ! thanks a lot Bhavesh for this award ;)have a nice day ! The Sunshine award is perfect for your blog, Bhavesh! Congratulations and thank you for the nomination. BRAVO, BRAVO Bhavesh, this price go to you to marvel! thanks a lot, I am very full of emotion and delighted to find you. Thank you most kindly for this esteemed honor, dear Sir!